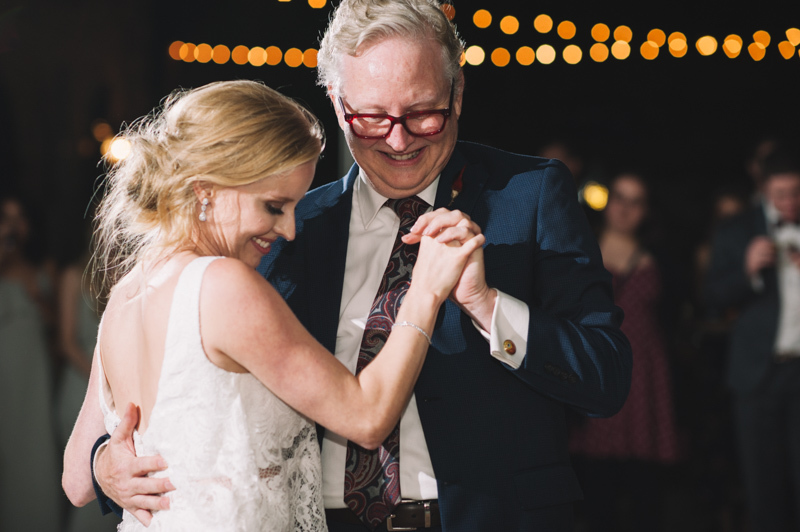 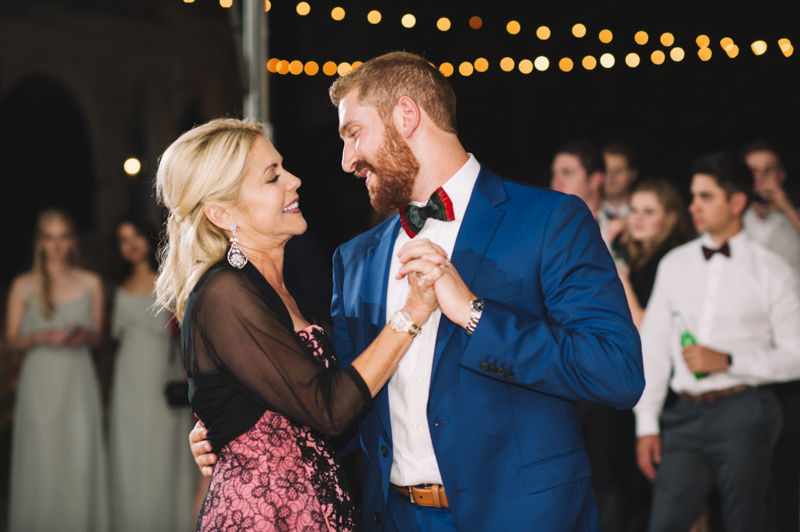 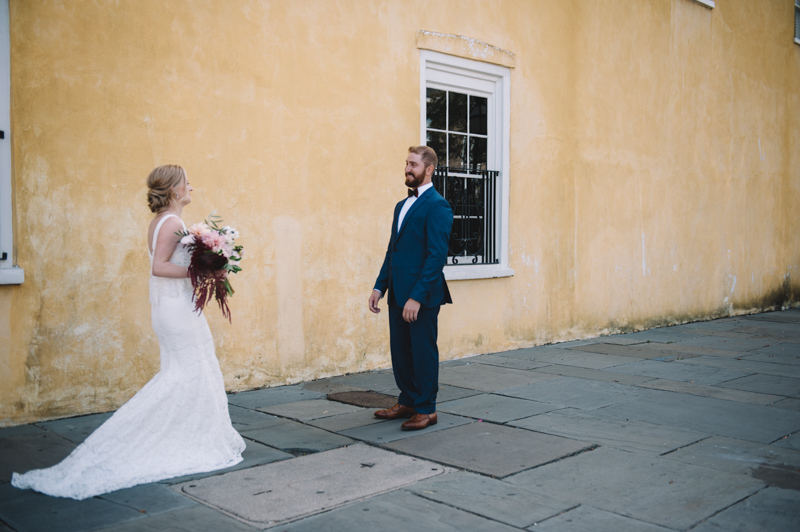 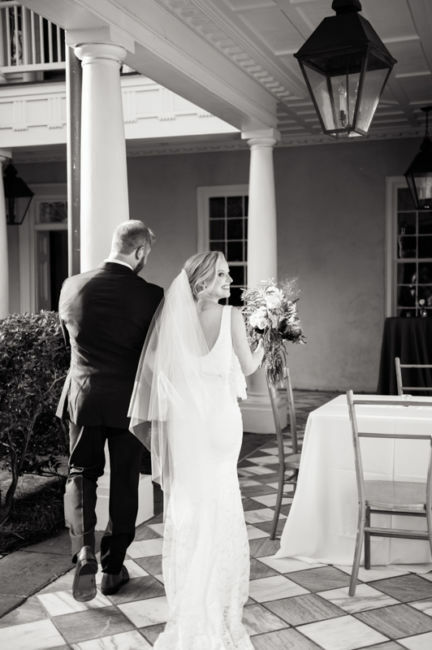 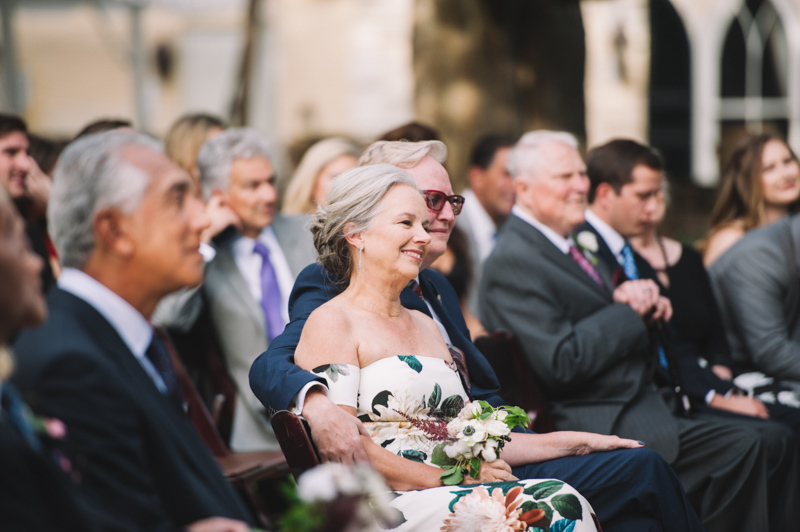 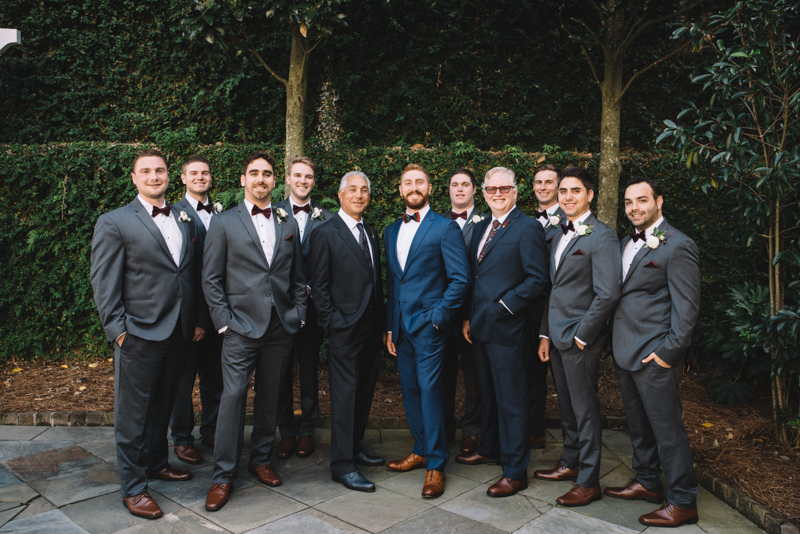 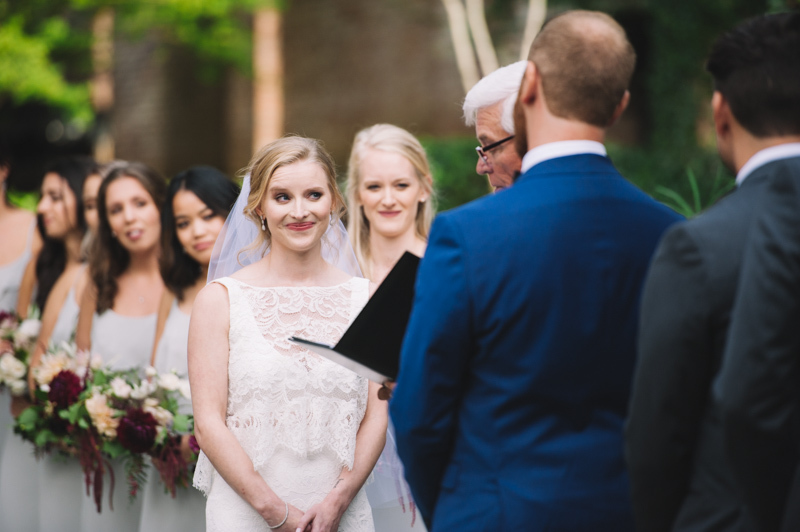 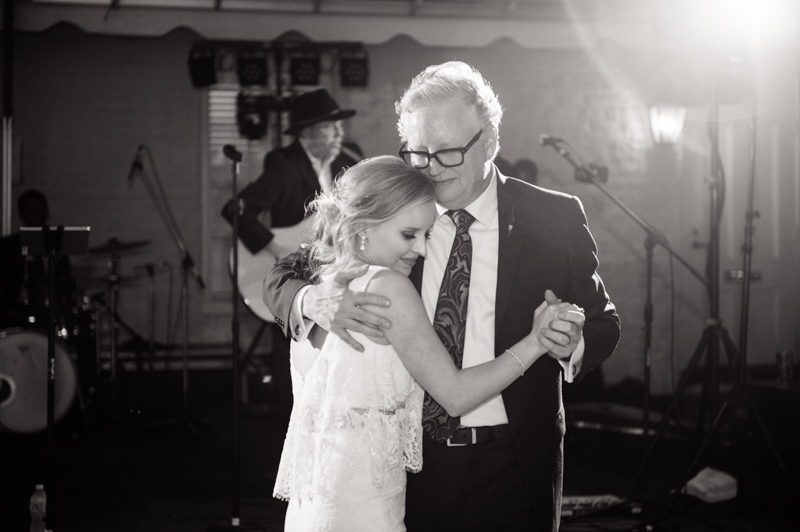 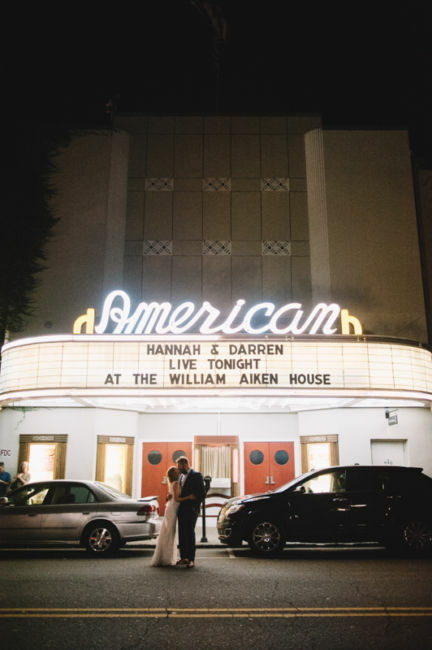 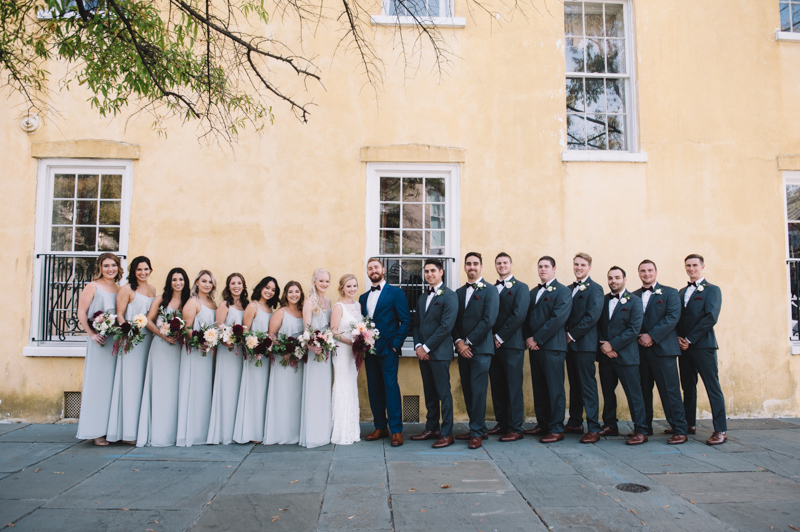 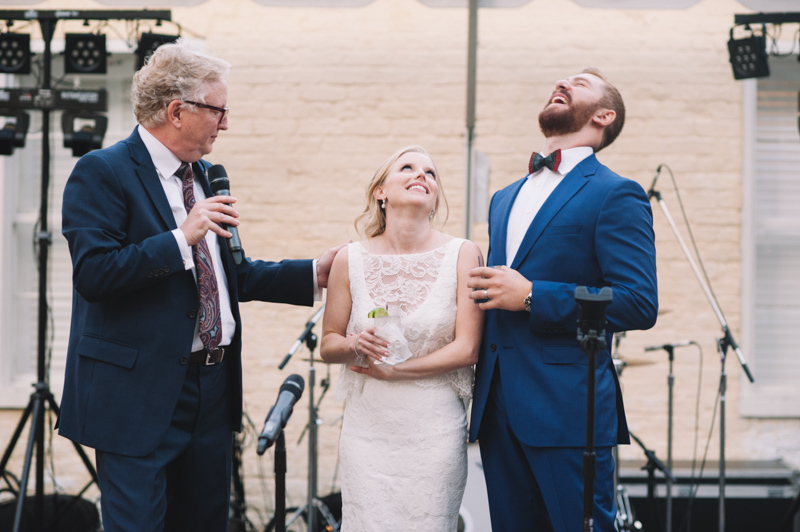 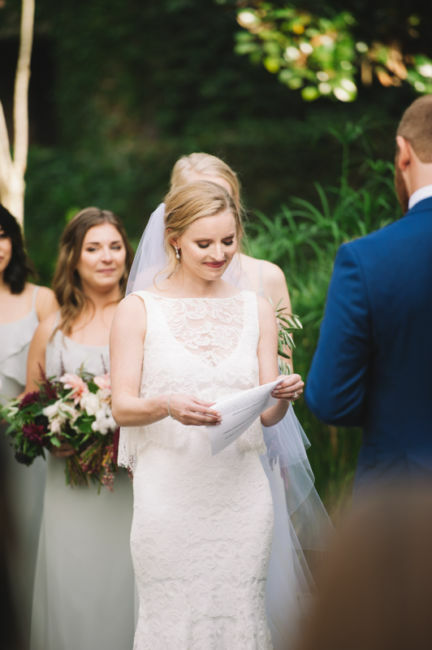 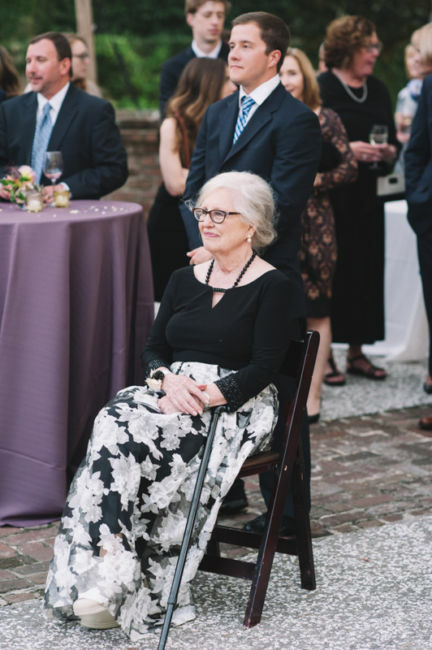 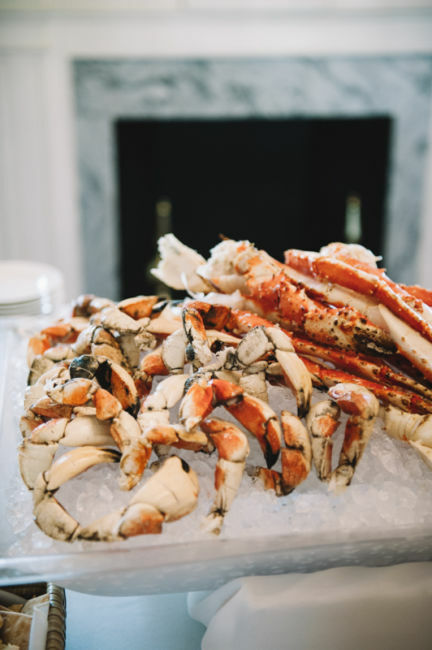 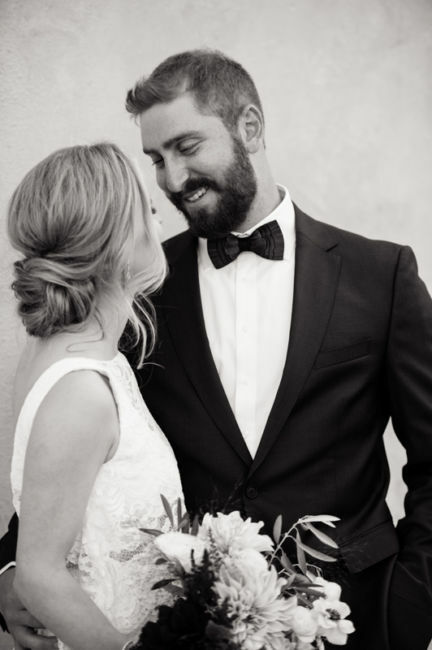 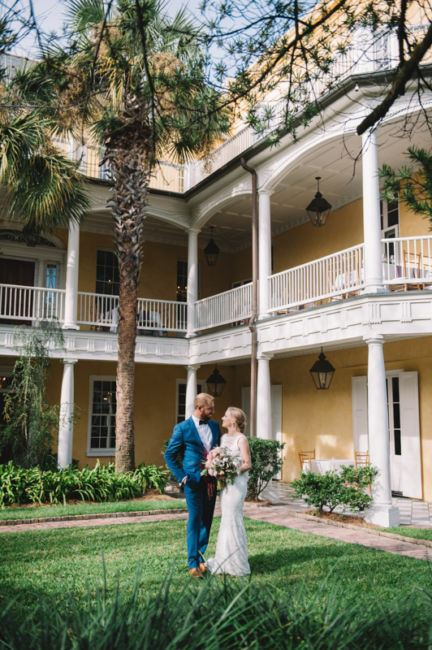 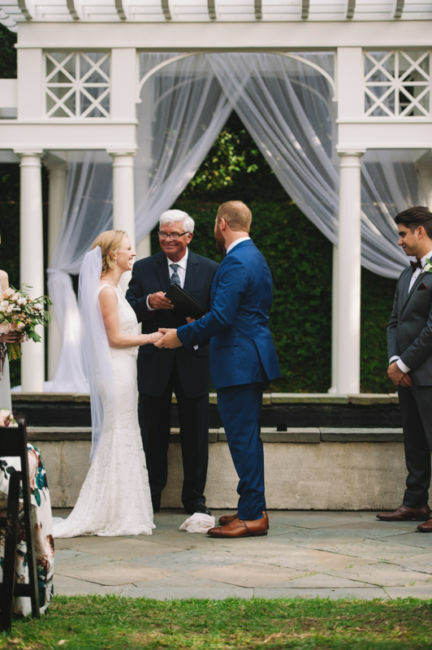 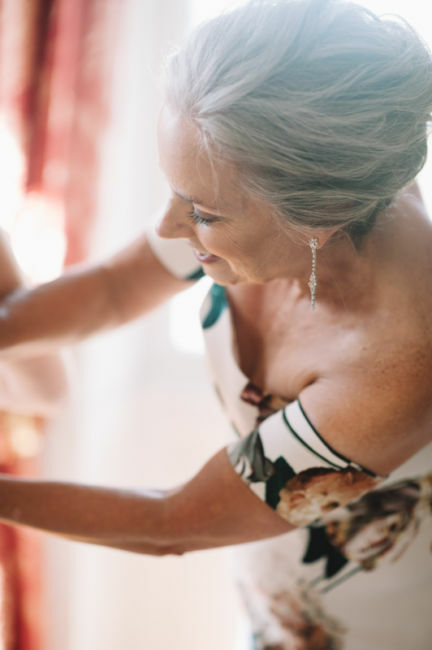 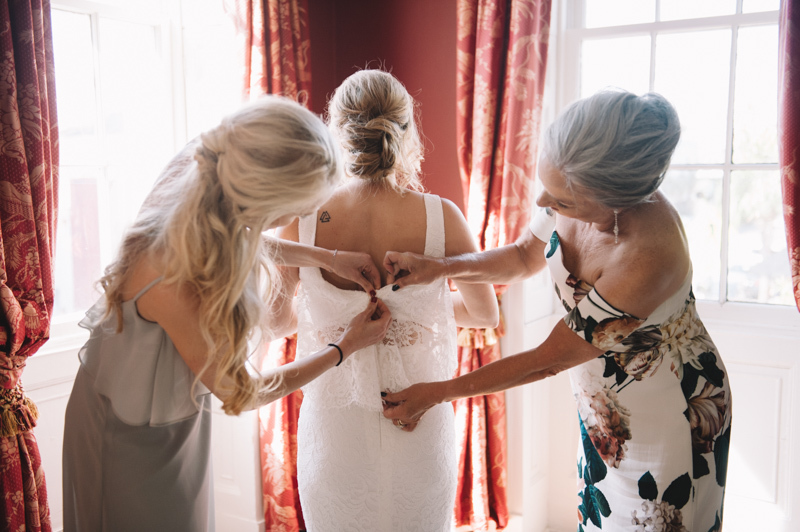 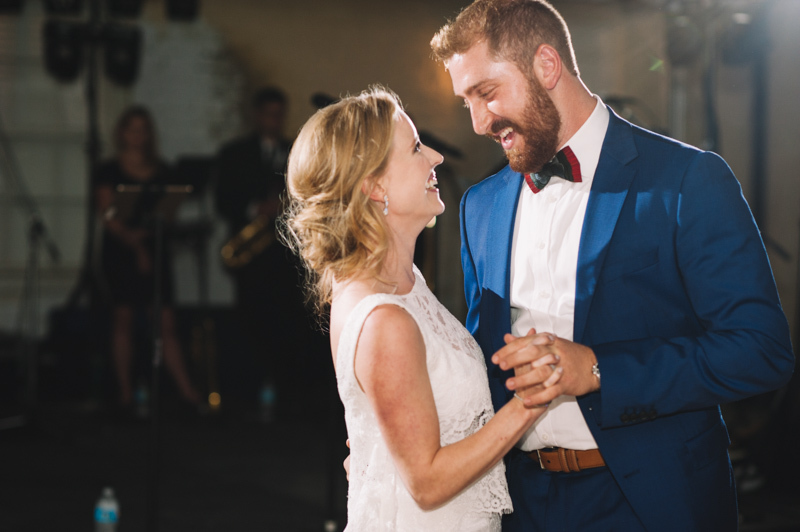 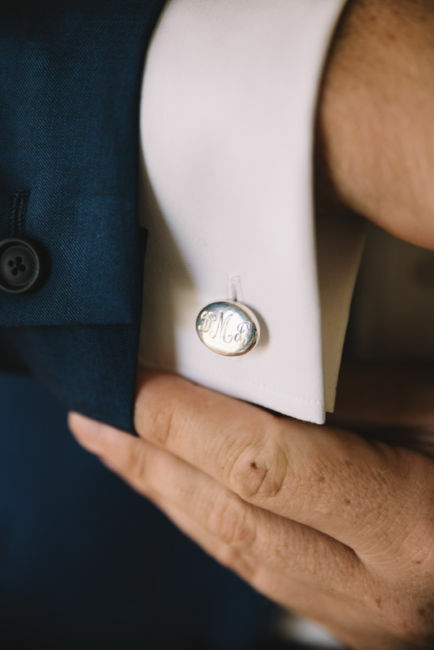 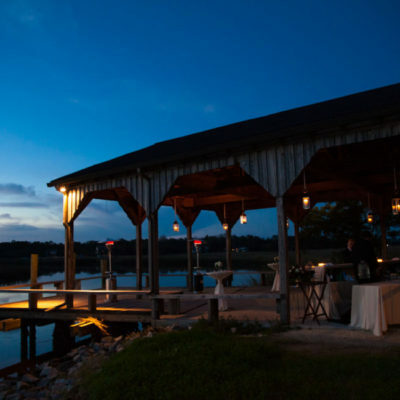 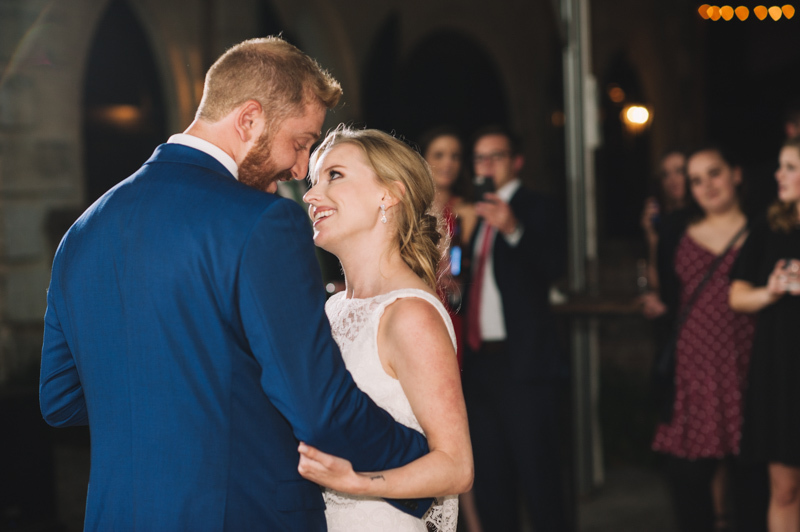 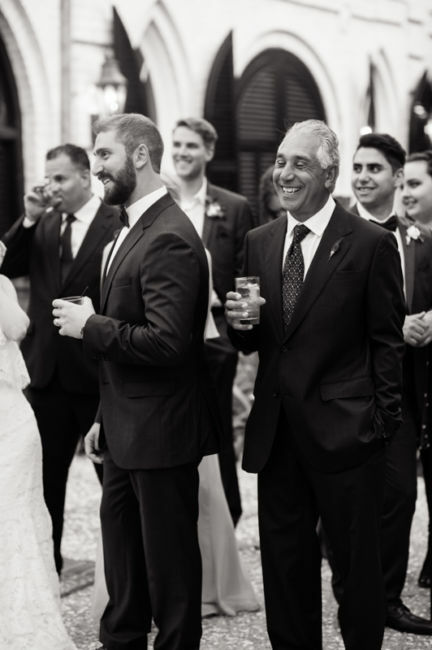 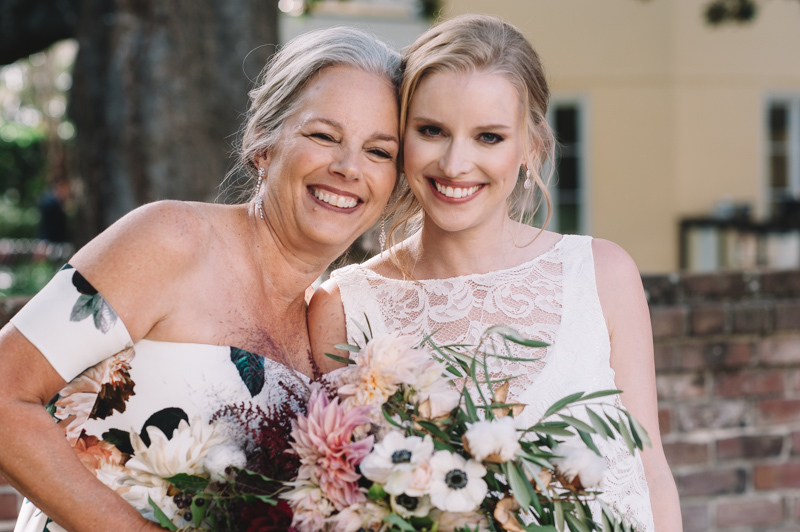 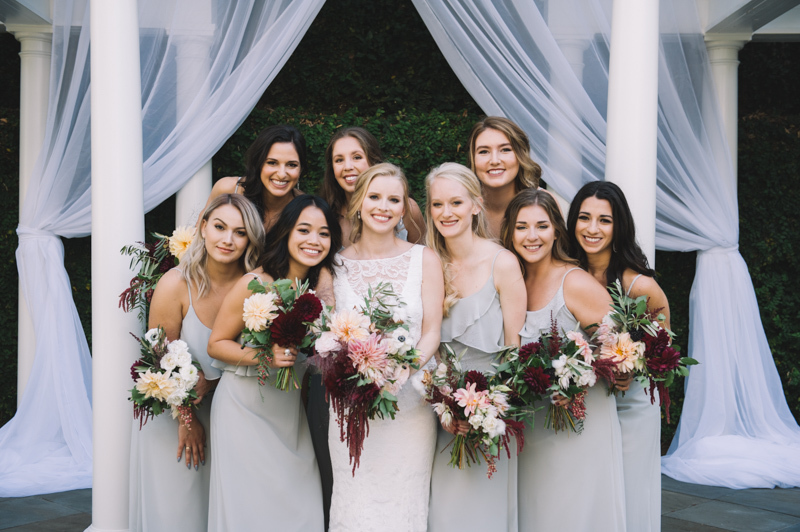 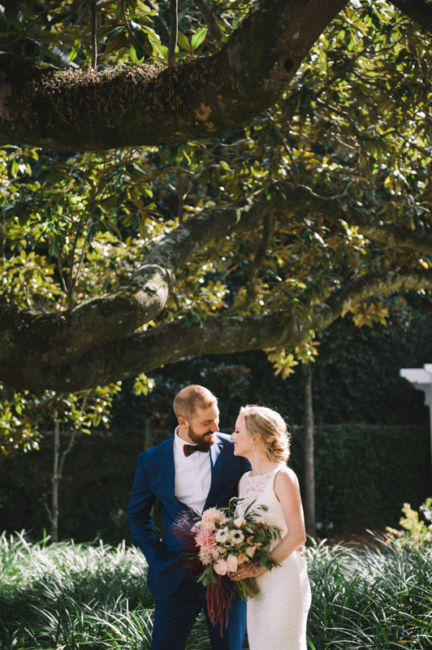 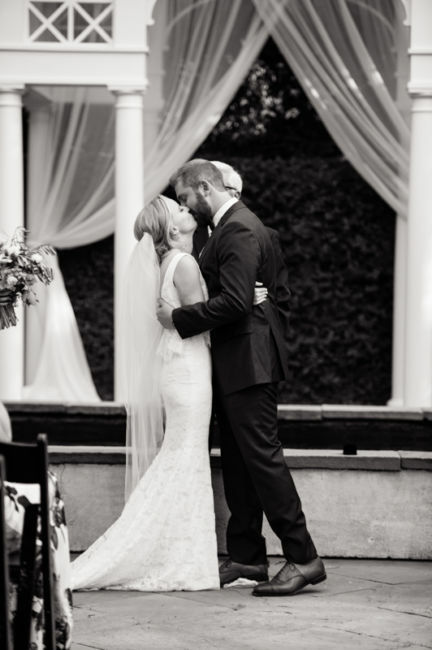 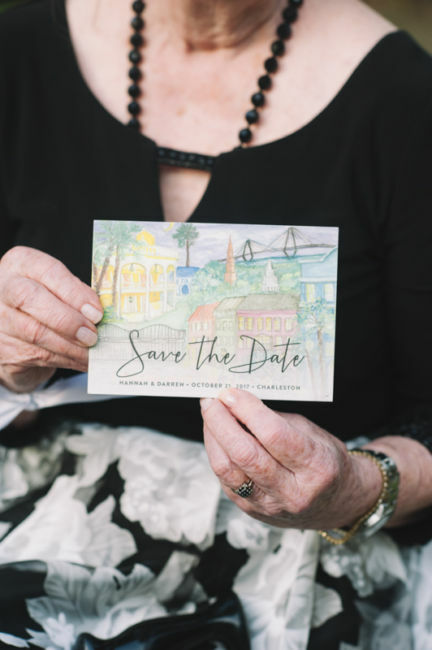 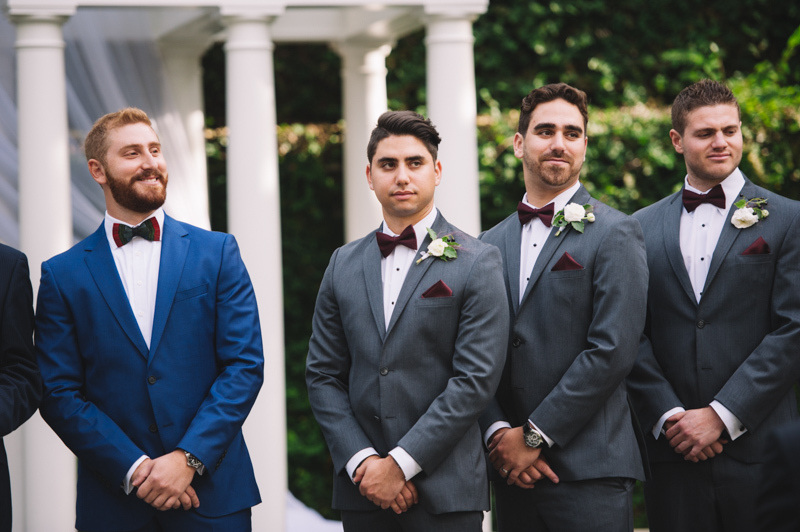 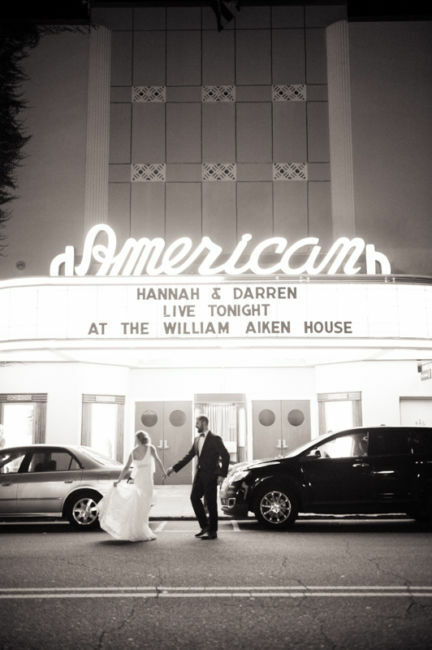 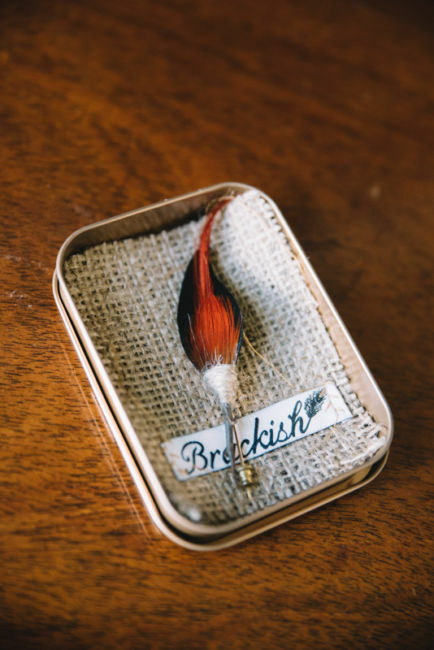 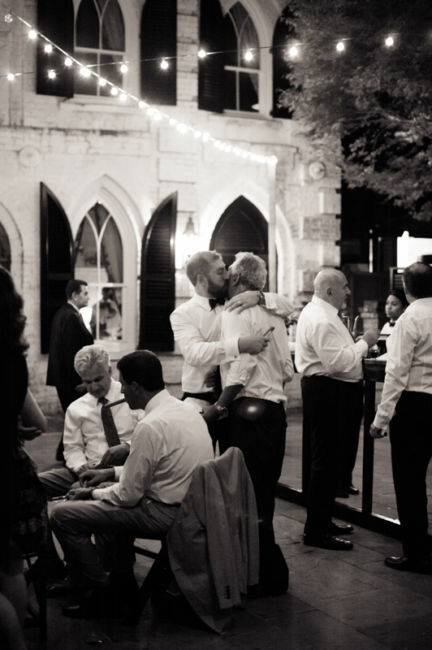 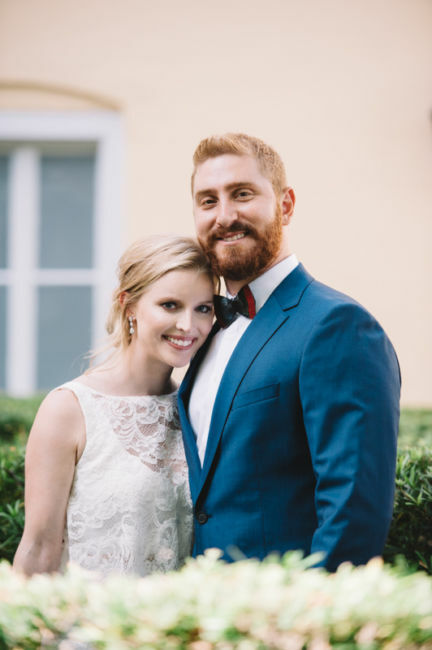 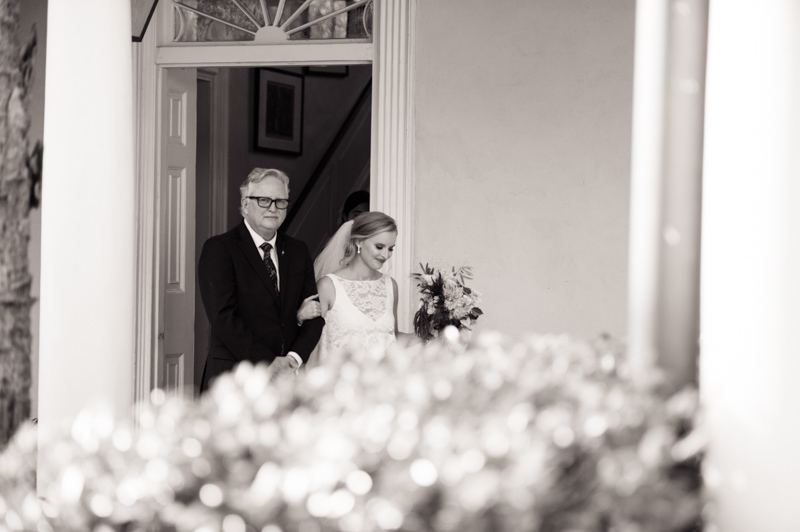 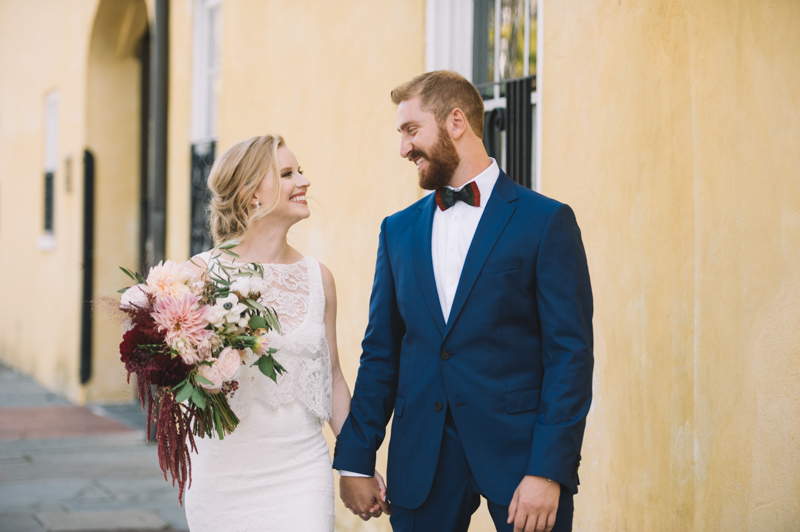 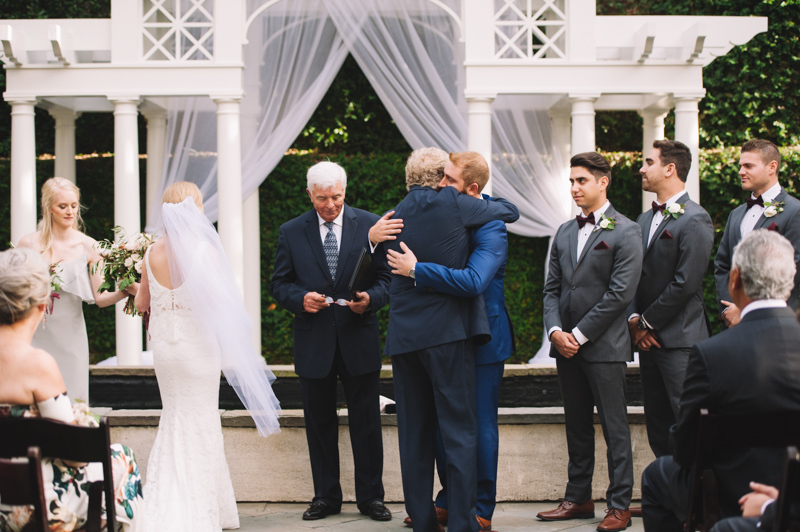 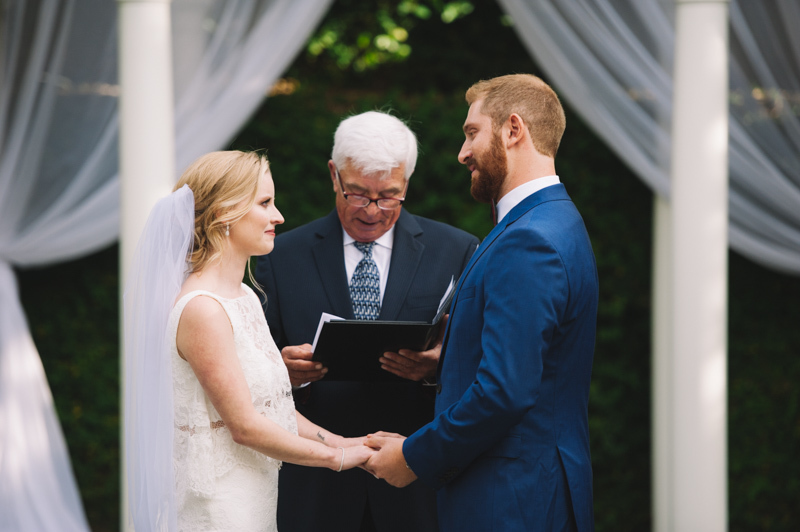 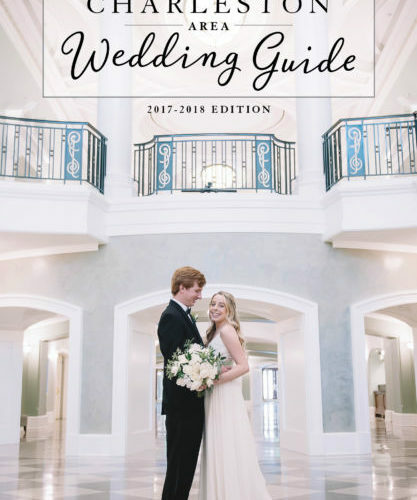 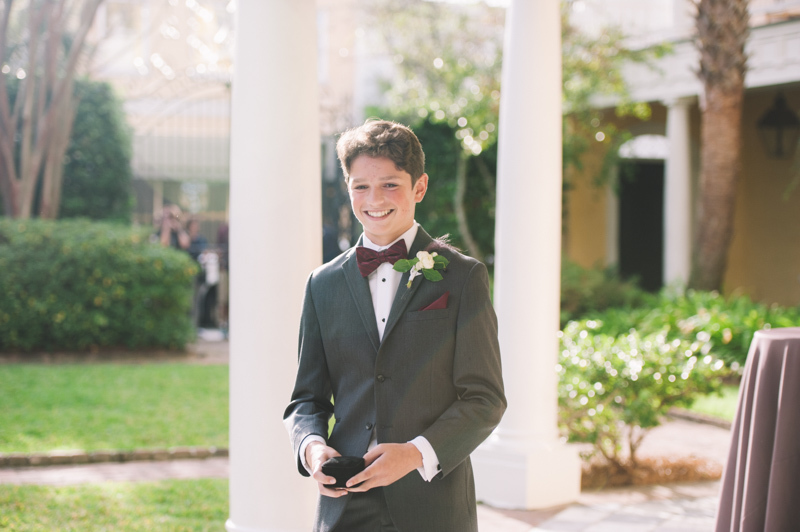 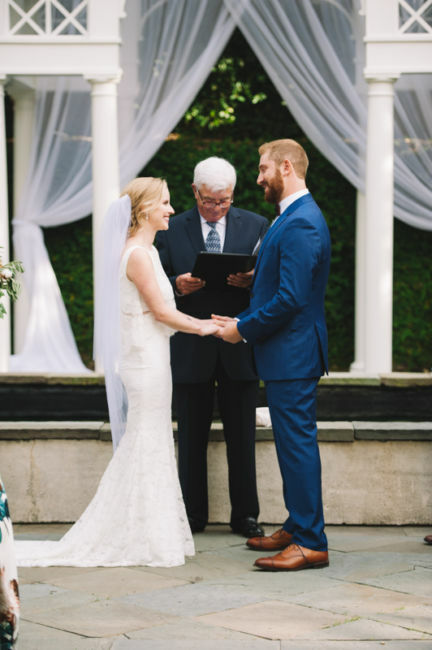 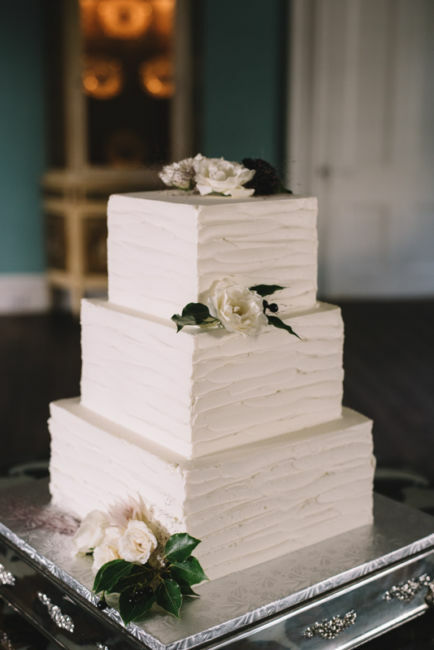 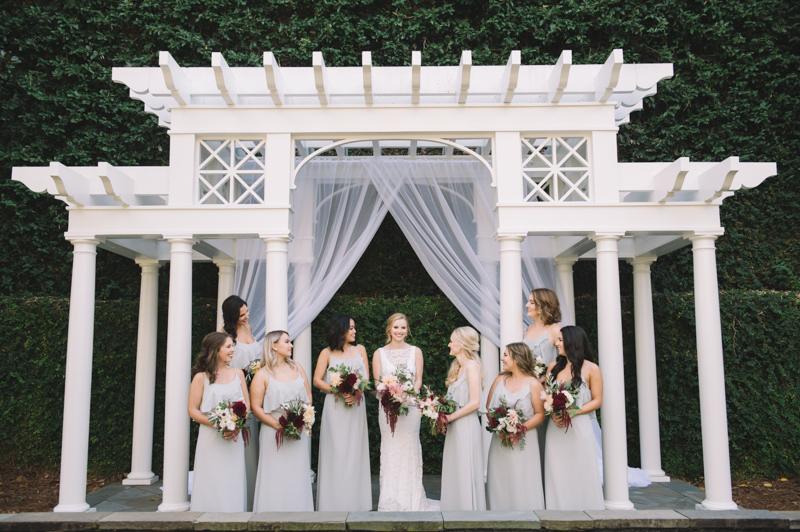 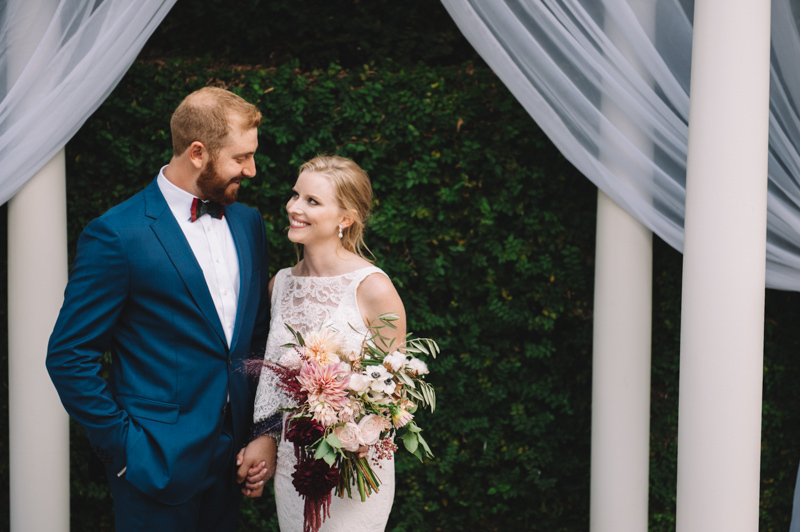 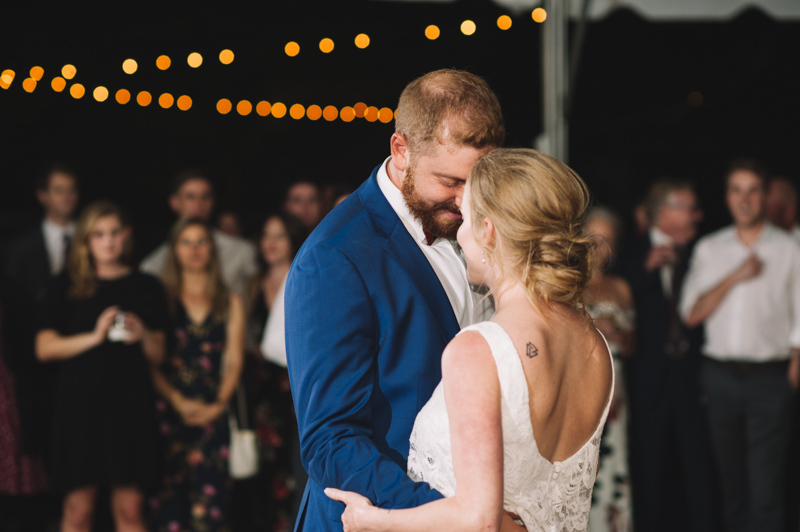 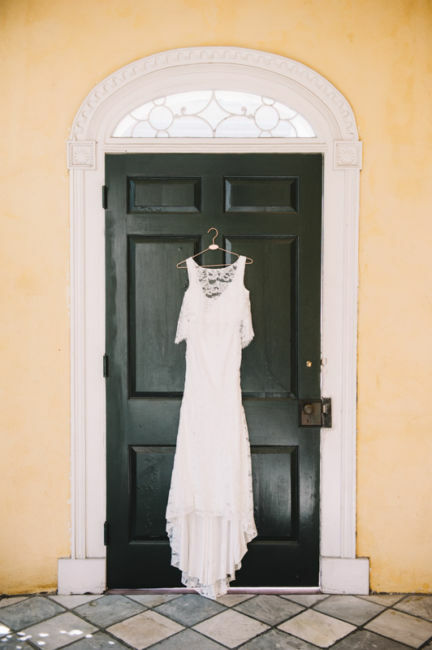 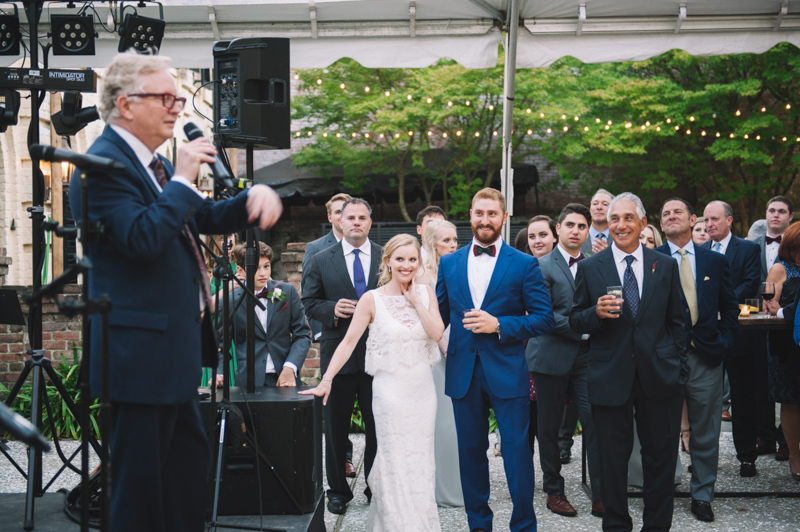 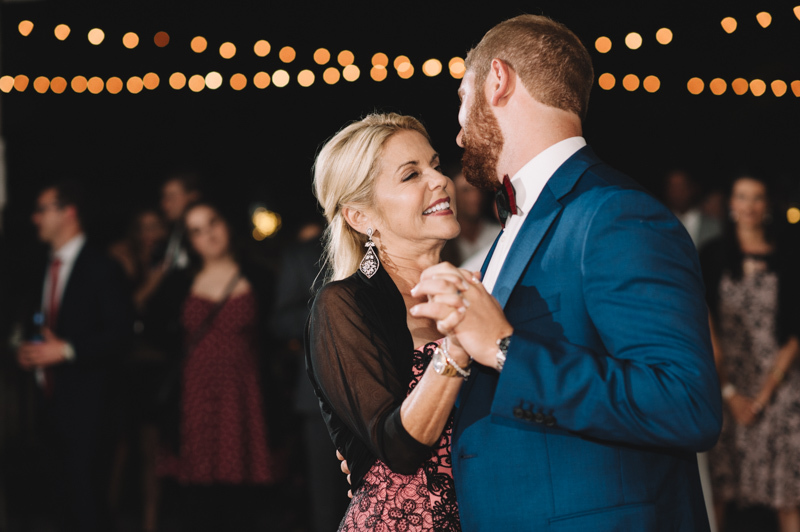 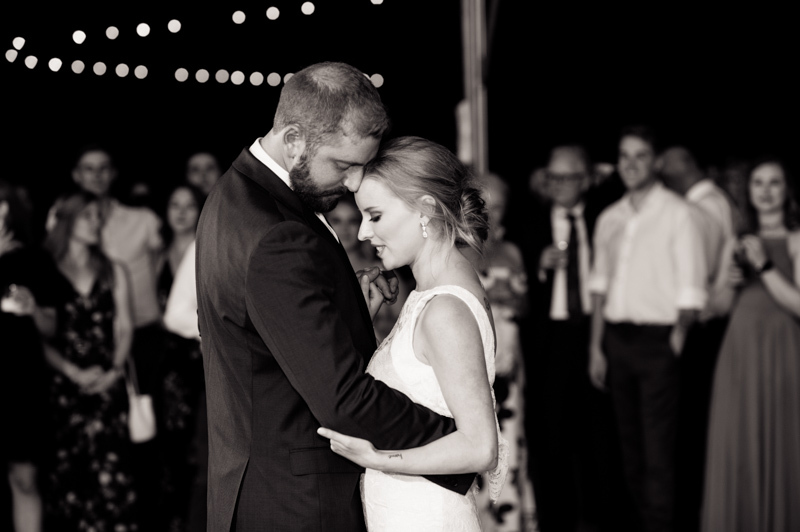 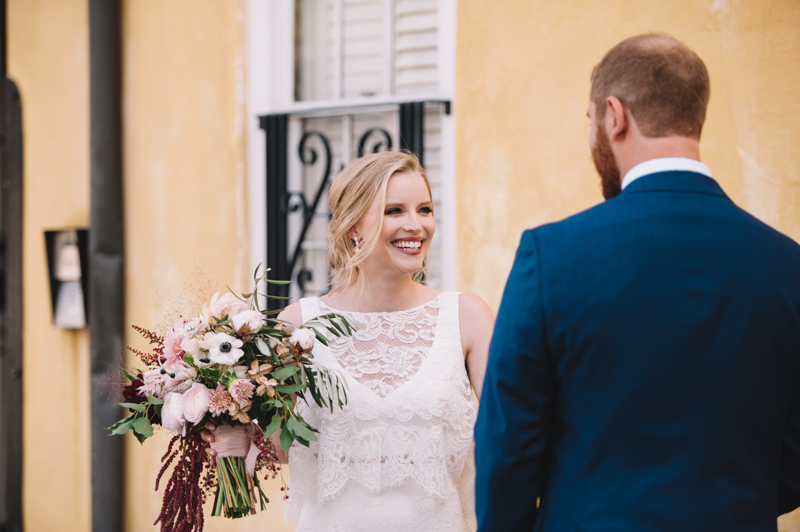 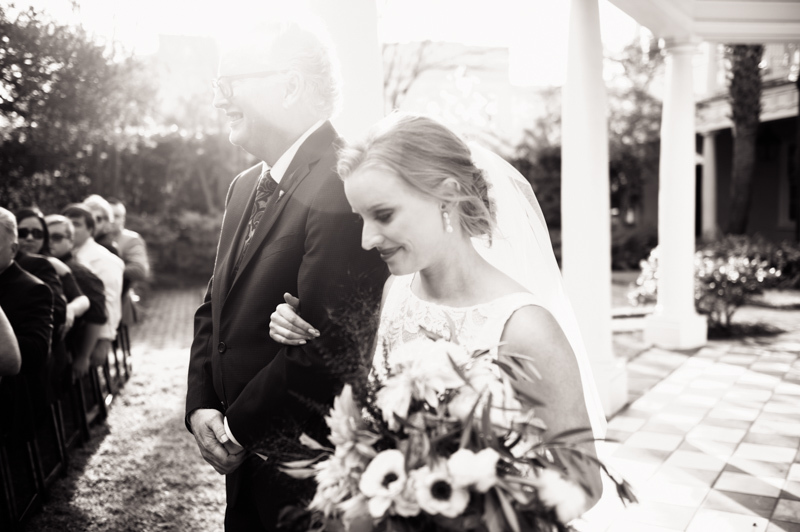 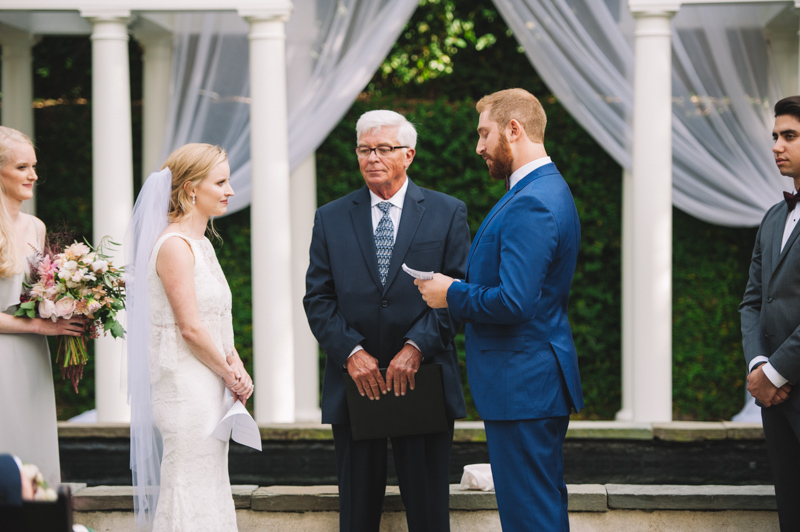 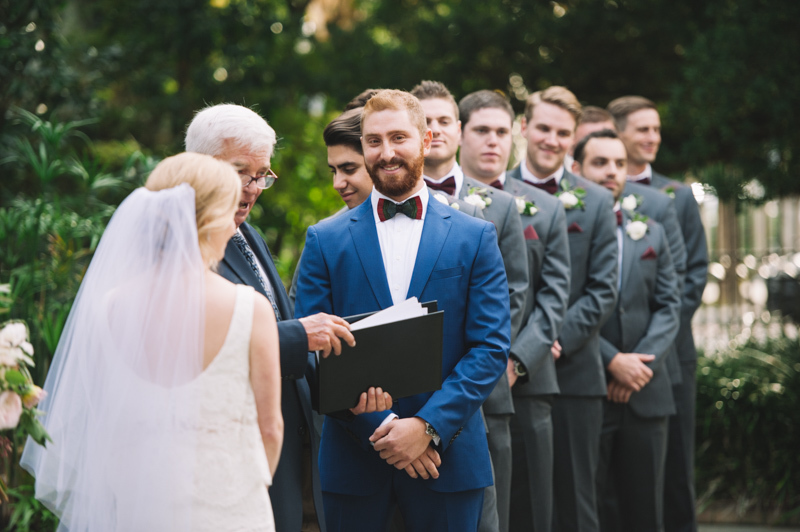 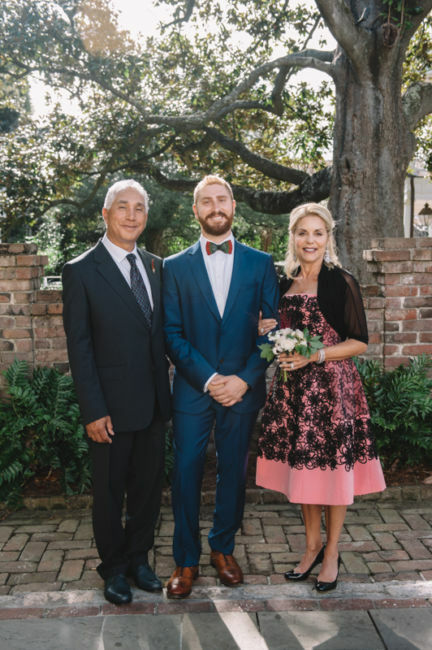 Their William Aiken House wedding was nothing short of spectacular as the couple was surrounded by family, friends, and great food. 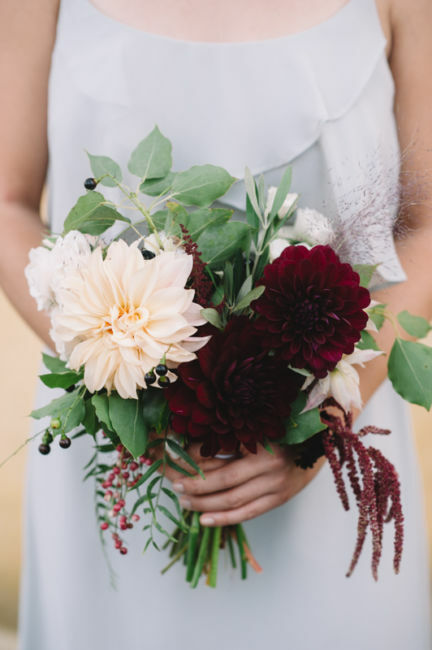 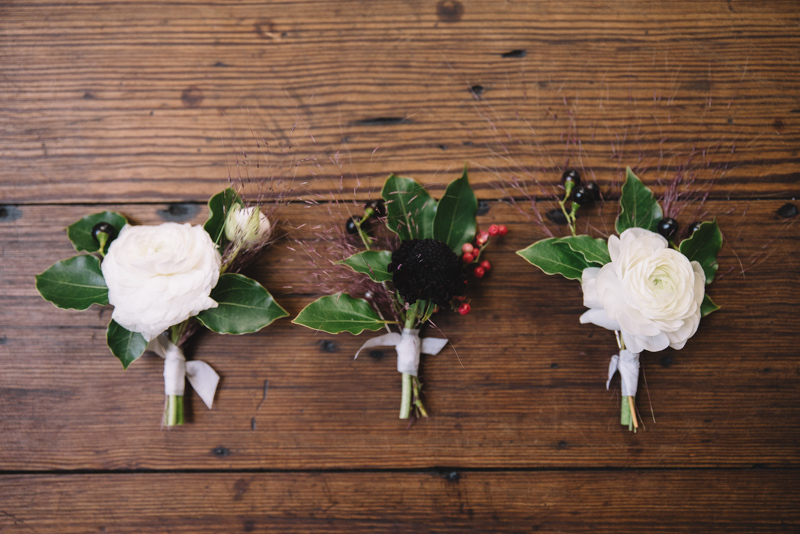 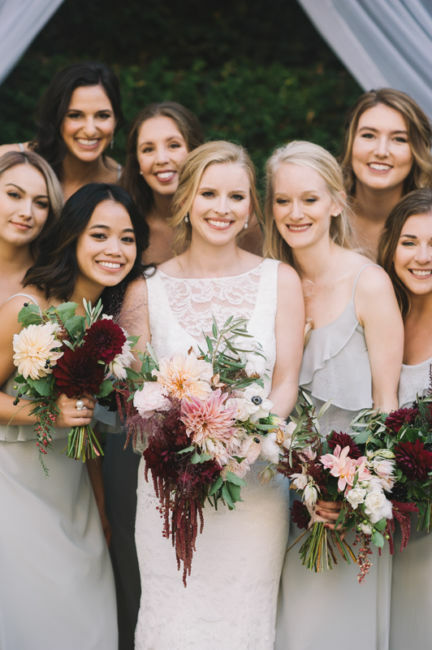 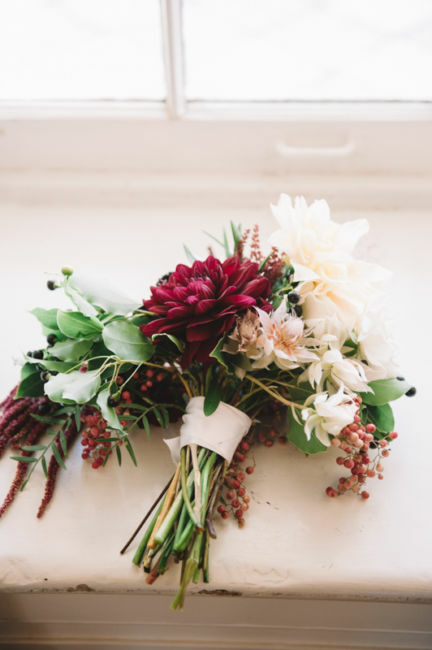 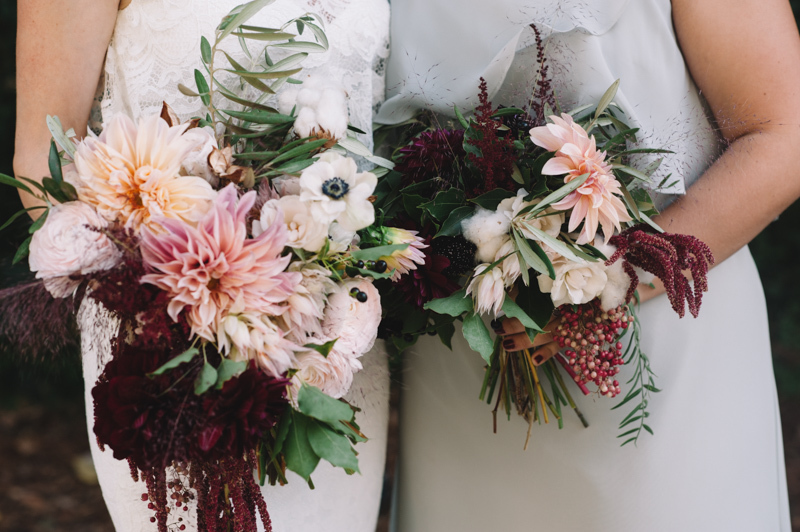 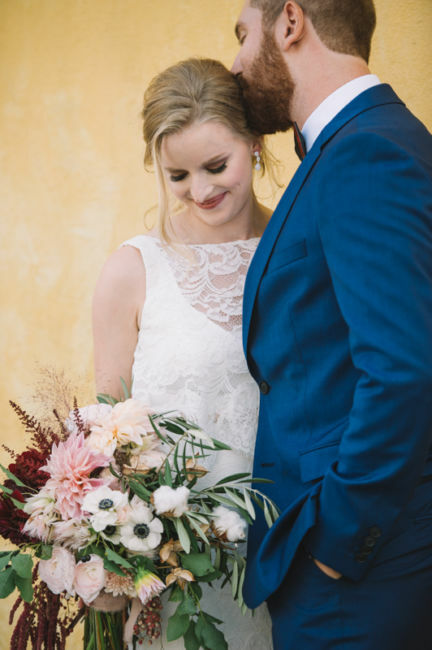 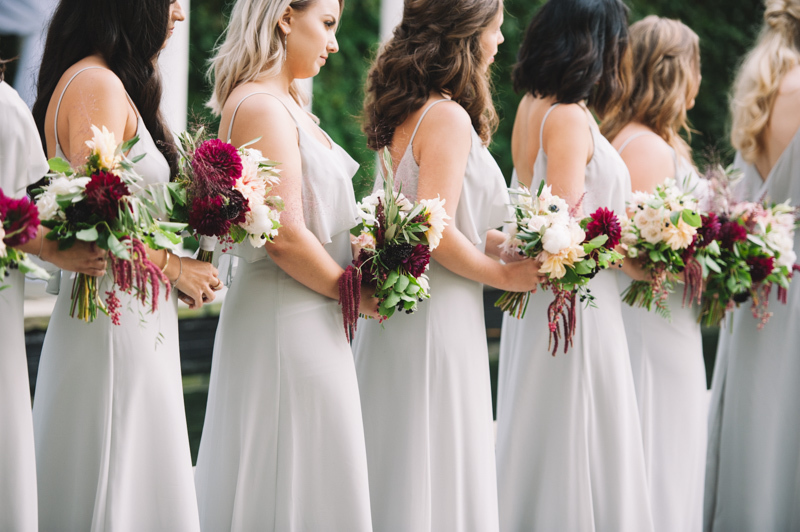 The flowers were beautiful and unique, adding the perfect touch of color with the pink and wine hues. 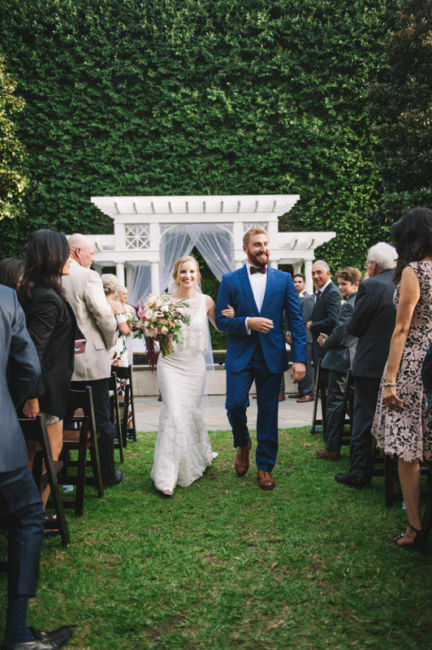 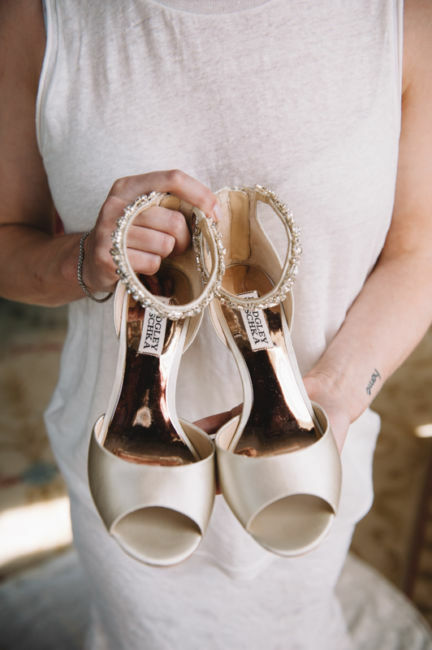 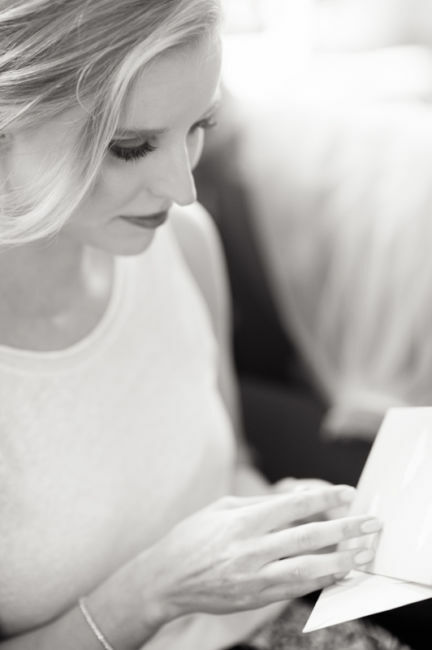 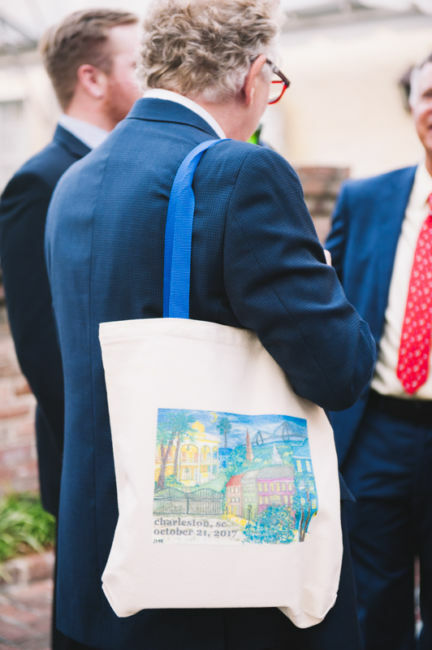 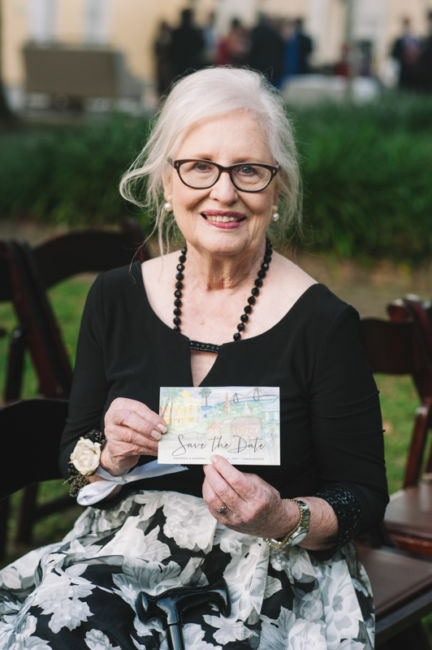 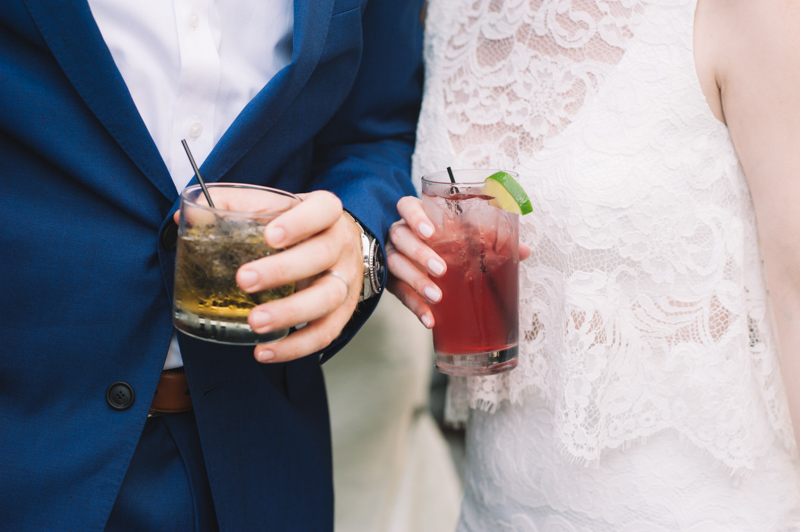 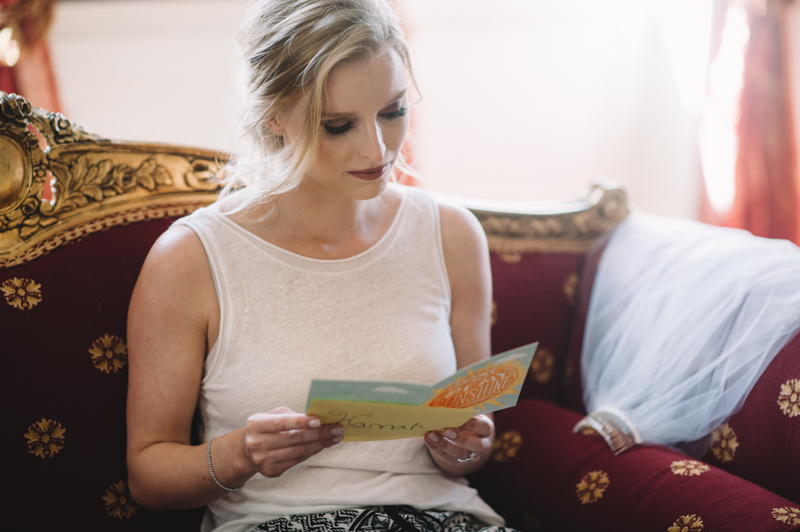 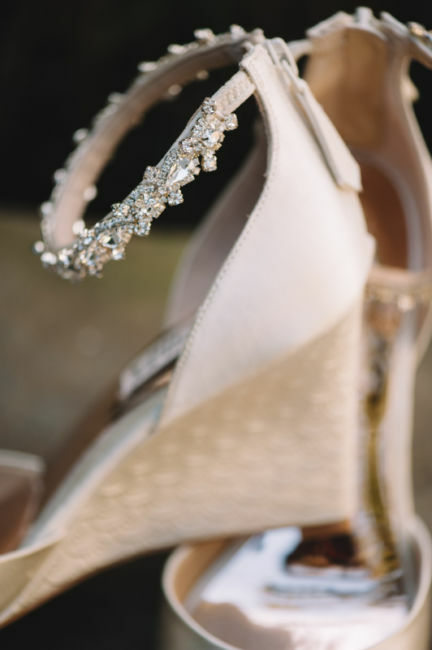 The event planner, Chloe Ewing, made sure the day was effortless. 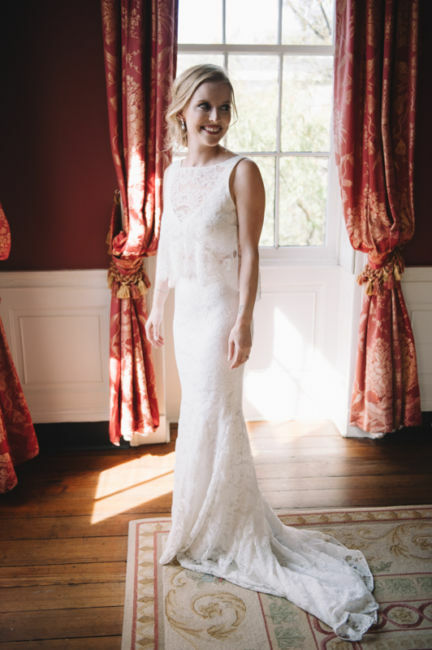 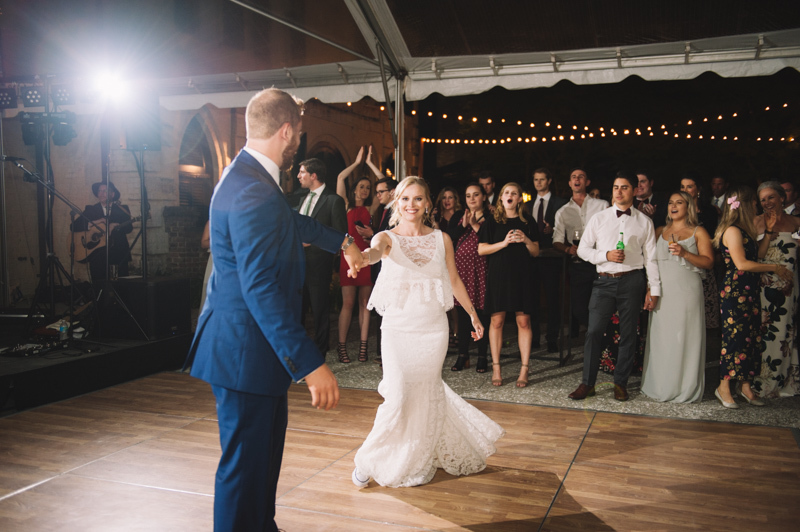 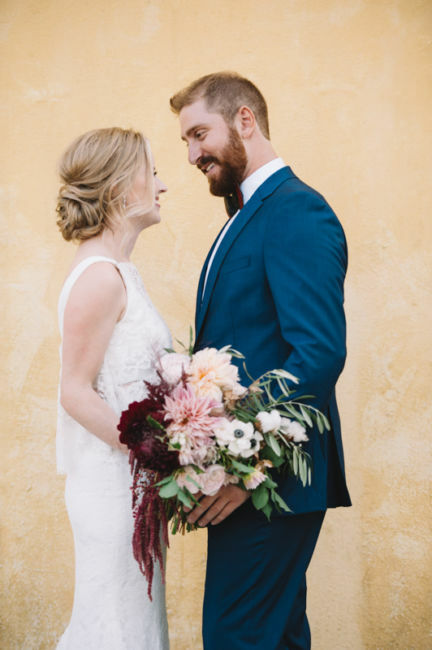 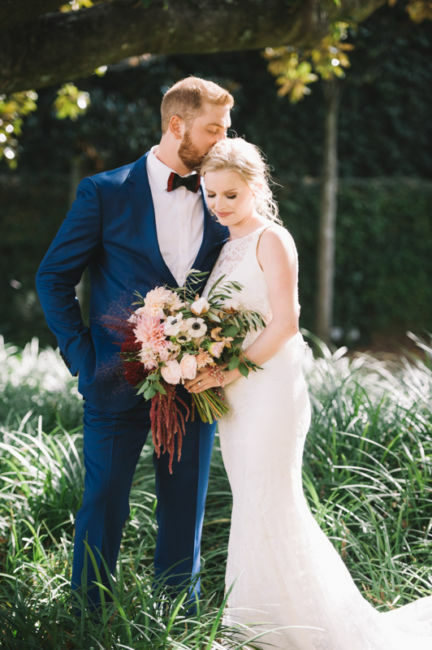 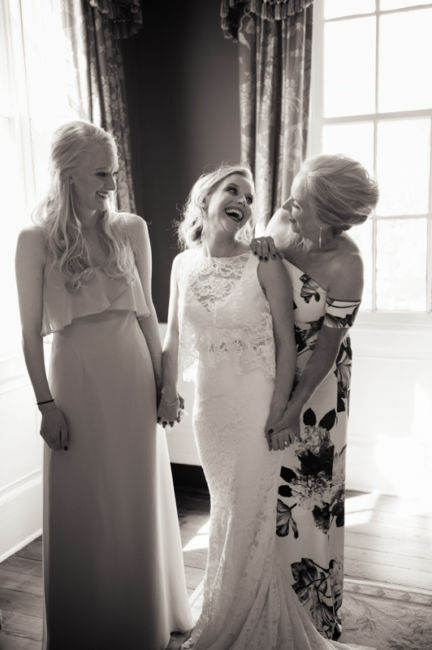 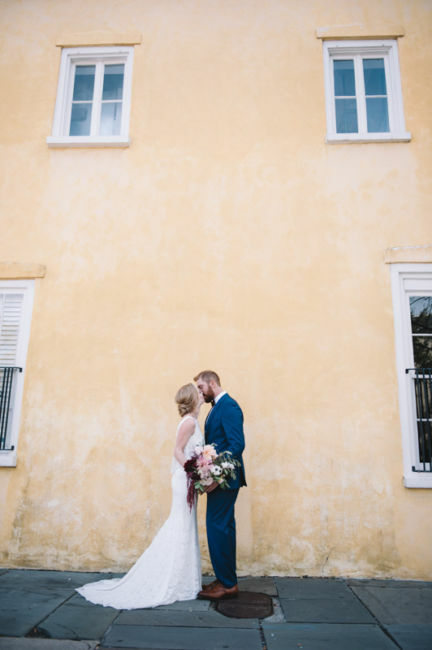 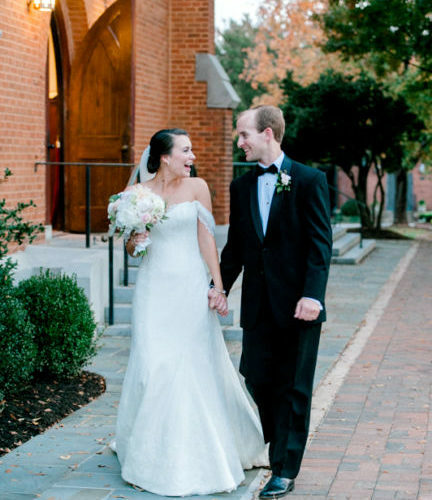 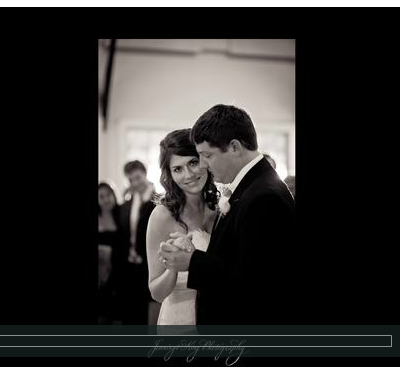 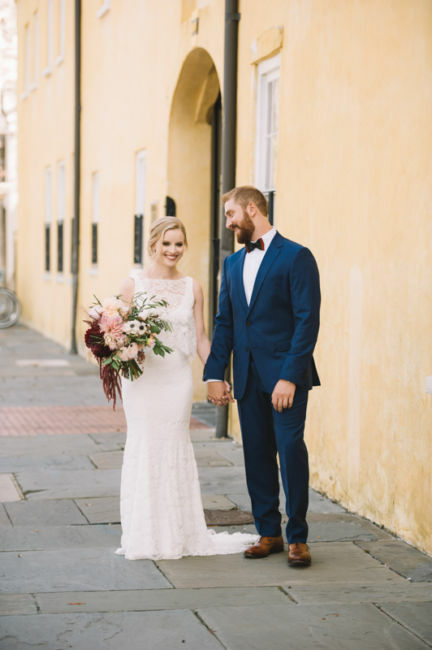 Hannah looked stunning in her elegant two piece Theia gown. 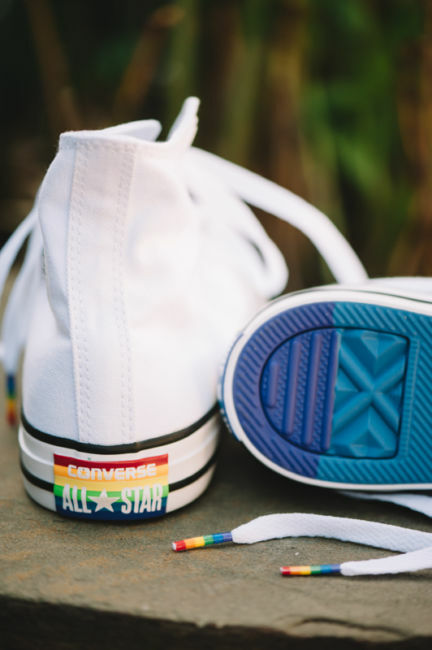 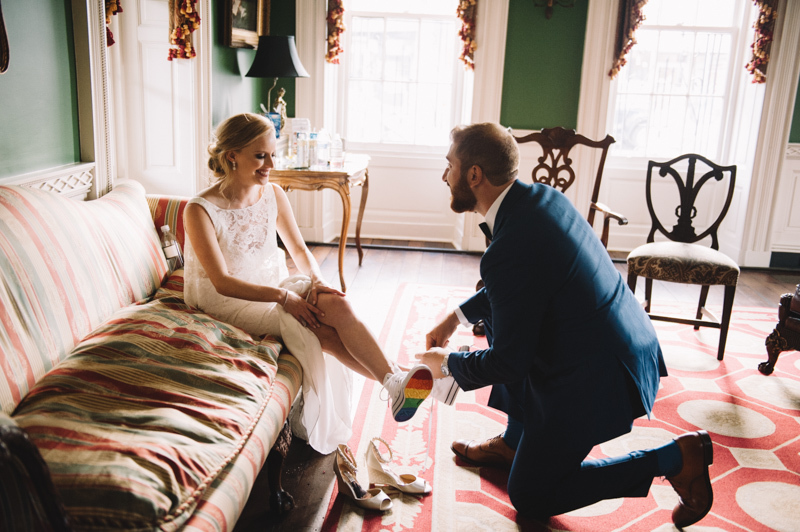 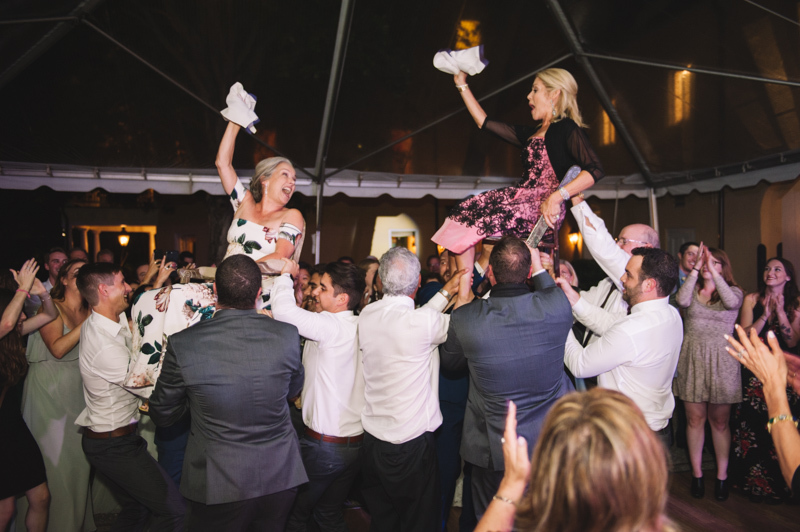 Darren helped Hannah switch out of her heels and into a more comfy option for celebrating at the reception: white Converse high tops! 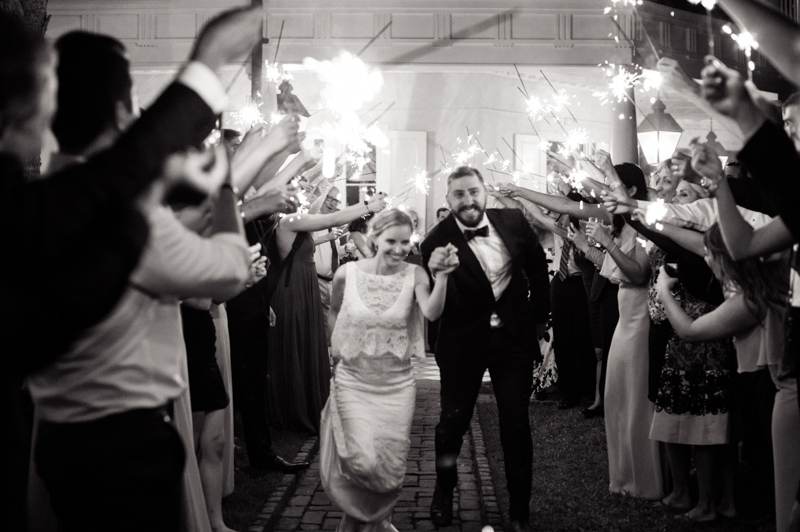 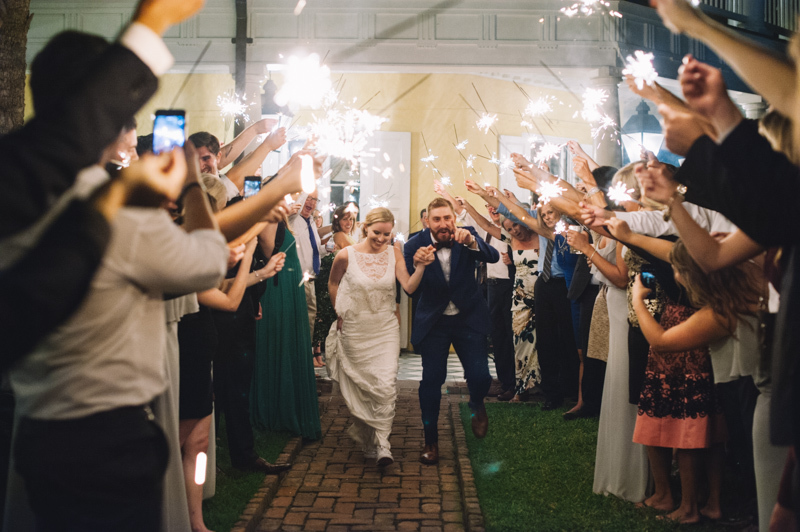 Guests sent off the newlyweds with a sparkler exit, the perfect end to the night! 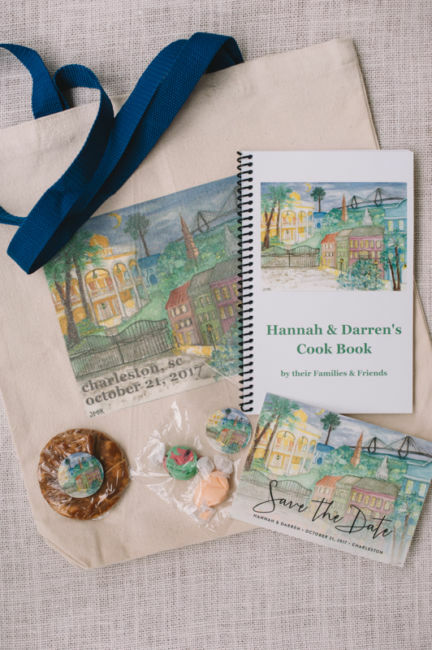 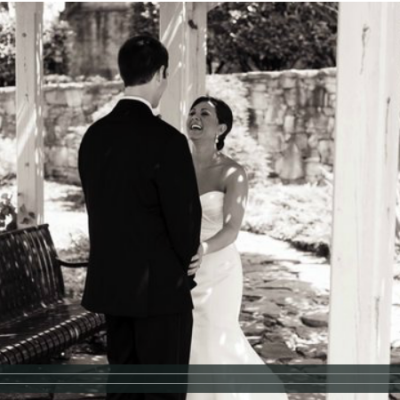 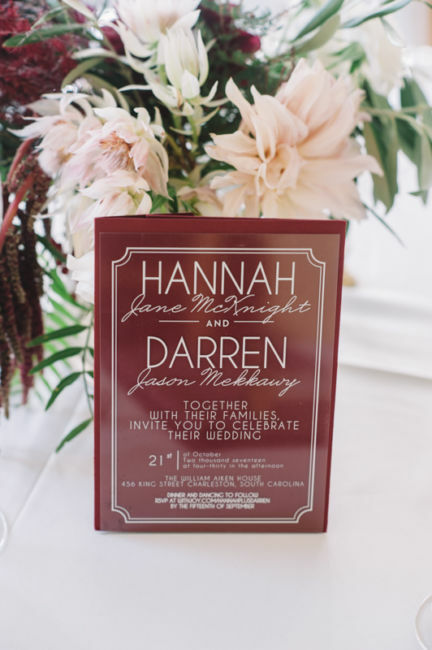 Wishing you lots of love and laughter Hannah and Darren!